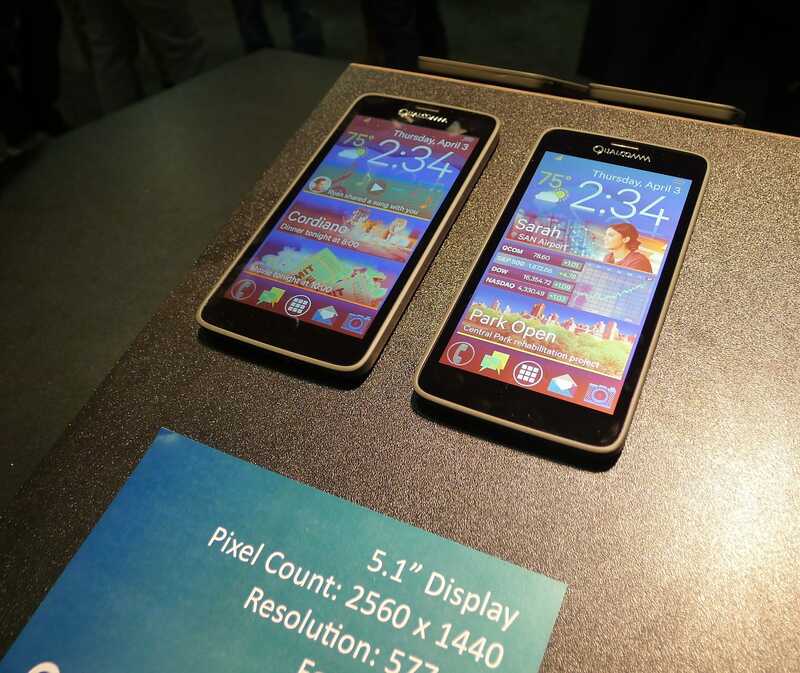 Qualcomm unveiled its next-generation version Mirasol display at SID Display Week 2014 last week. The new screen tech is called SMI (single mirror IMOD), and if/when it hits production it promises to offer richer color than Qualcomm's existing Mirasol screen tech. IMOD, or Interferometric modulator display, is a type of reflective display that creates color not by shining light through a pixel but by manipulating a micro-cavity in the display. Changing the shape of the cavity makes different colors appear. While the existing Mirasol screen (like the one found on the Toq smartwatch) requires 3 different micro-cavities to display a single pixel, the new screen tech only requires a single micro-cavity which can display an entire range of colors. I didn't get to see the new screen tech; Nikkei says that there was a demo, but it must have been shown off privately because I did not see a new screen in the Qualcomm booth. In the demonstration, Qualcomm MEMS Technologies switched among several still images. But the new display can show video, depending on the backplane, the company said. That is better than what Qualcomm showed off last year, when the high point of the Mirasol display was a nonfunctional 5.1" screen. I saw that 5.1" dummy again this year, and I also saw the Toq smart watch, but I didn't see a new screen tech demo. Perhaps I happened to visit at the wrong time. On a related note, Qualcomm also showed off the 7" Pixtronix screen which they had on display at last year's SID Display Week; it's still not in production and they could not say when it would be available on consumer devices. Woah! Nate. Your image is 1.25 megabytes. You’re gonna blow your web numbers with that. Well that’s weird; it’s supposed to be a lot smaller.